Rakib* talking to Himel* under a flyover in Dhaka, the capital of Bangladesh. Both boys are 11 years old and work on the streets. Rakib came to Dhaka with his mother and four siblings two months ago. They came to the big city to try to find work. 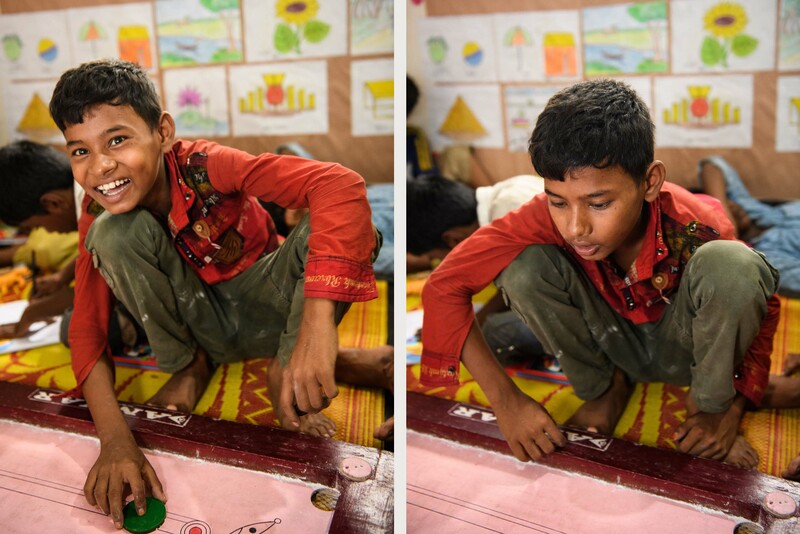 Back in his home village Rakib went to school, but in Dhaka he can’t. His mother has found work as a cook in a hostel, but the salary is not enough, so Rakib begs on the streets trying to make ends meet. A social worker talked to Rakib and suggested that he come to the centre. Rakib hesitated at first but agreed and now comes regularly. The centre Rakib is going to is one of five run by Save the Children’s partner organisation INCIDIN Bangladesh. They are funded by the IKEA Foundation, thanks to the Let’s Play for Change campaign. These Multiple Activity centres were set up close to the railway and bus stations where many of the most vulnerable children live and work. Children are given the opportunity to play and to catch up on their education; and they have a safe place to stay during the day. Staff try to refer children to other services and connect them to schools and night shelters. Around 100 children come to each centre, although most don’t come every day. Rakib*, 11 years old, came to Dhaka with his mother and four siblings two months ago. They came to the big city to try to find work. 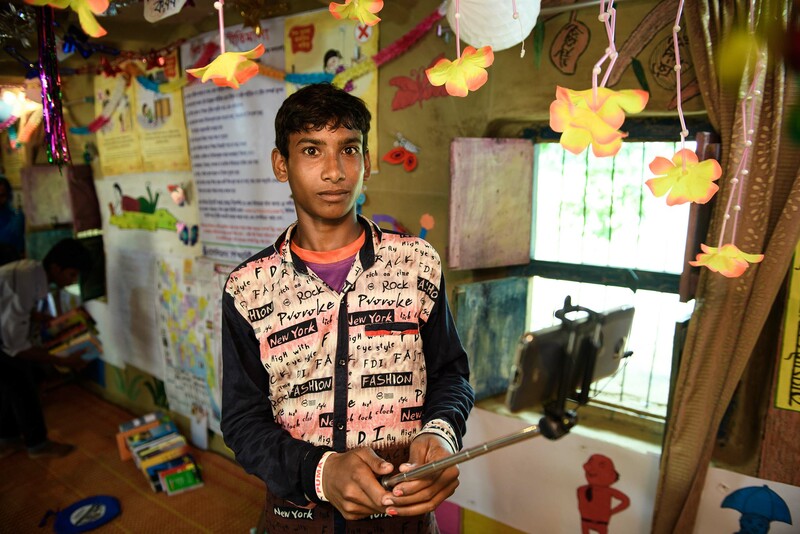 Back in his home village Rakib went to school, but in Dhaka he can’t. His mother has found work as a cook in a hostel, but the salary is not enough, so Rakib begs on the streets trying to make ends meet. 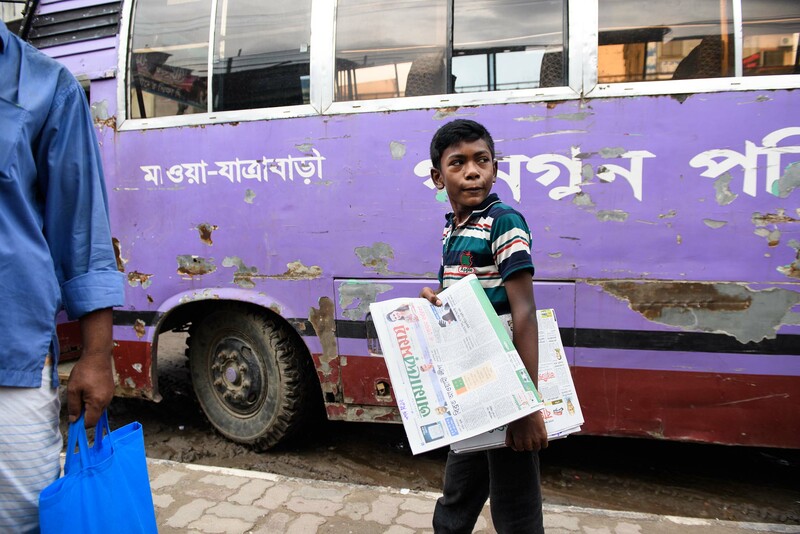 Rasel*, eleven years old, is out on the streets every morning, selling newspapers. He is eleven years old and spends his time around one of the big bus stations in Dhaka, the capital of Bangladesh. 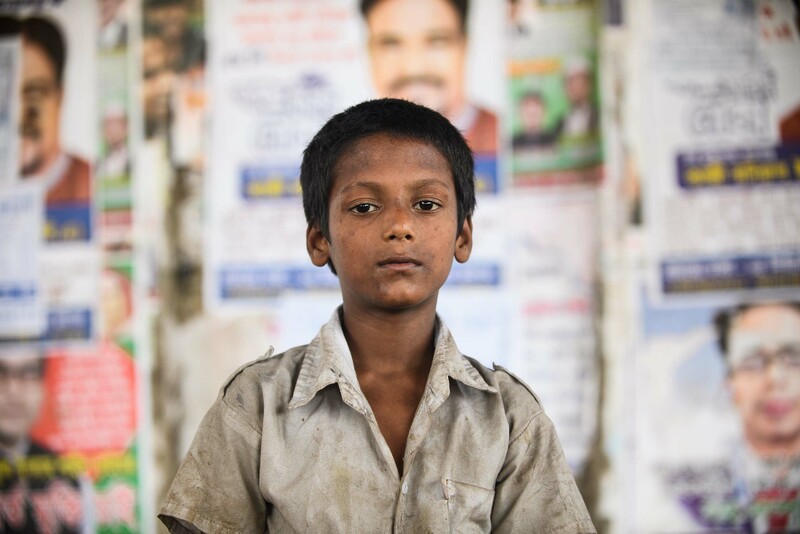 Rasel was beaten by his teachers in his home village so he ran away and ended up in Dhaka. The centre Rasel is going to is one of five funded by the IKEA Foundation, thanks to the Let’s Play for Change campaign. These Multiple Activity centres were set up close to the railway and bus stations where many of the most vulnerable children live and work. For many children, migration promises the chance of a better life and an opportunity to find work and education. However, once children move, they become highly vulnerable to discrimination, violence, abuse and exploitation, both during their journey and at their destination. Save the Children is also addressing the underlying causes, raising awareness in rural communities about the dangers of child migration. Shohag*, 11 years old, came to Dhaka with his mother, but she left him on his own when she returned to their village. 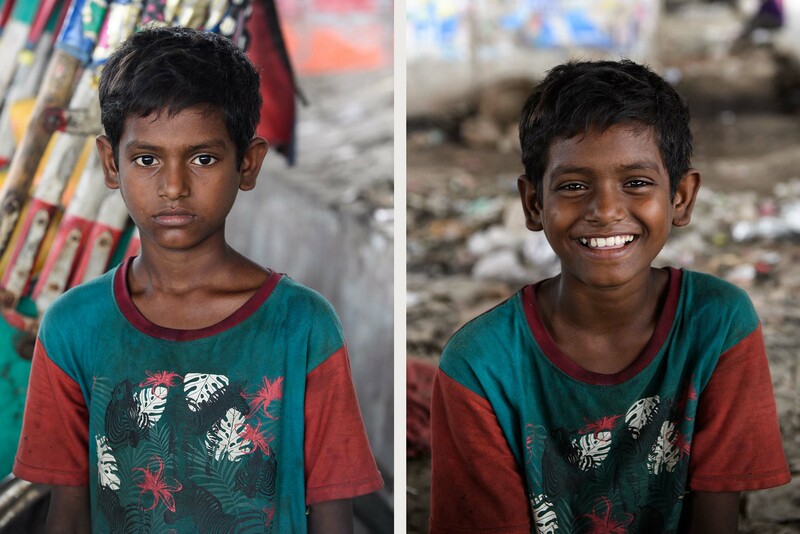 Shohag lives on the streets and sleeps under the flyover close to one of the big bus stations. Shohag works as a helper on local transport and begs in the street. He has found new friends at the centre run by Save the Children’s partner organisation INCIDIN Bangladesh, and loves to play with blocks and colouring books. “I’ve learnt to write my name at the centre, and the Bangla alphabet,” Shohag says. The centre Shohag is going to is one of five funded by the IKEA Foundation, thanks to the Let’s Play for Change campaign. These Multiple Activity centres were set up close to the railway and bus stations where many of the most vulnerable children live and work. 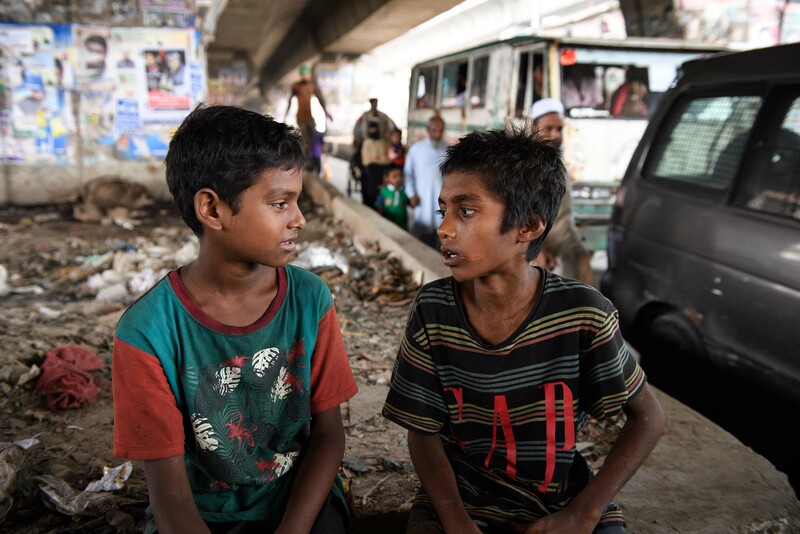 Boys resting at a centre for street children close to one of the large bus stations in Dhaka, the capital of Bangladesh. There are thousands of children on the move in Bangladesh today, some come with their families to big cities, some migrate alone. This centre is one of five run by Save the Children’s partner organisation INCIDIN Bangladesh. The centres are funded by the IKEA Foundation, thanks to the Let’s Play for Change campaign. These Multiple Activity centres were set up close to the railway and bus stations where many of the most vulnerable children live and work. Children are given the opportunity to play and to catch up on their education, and they have a safe place to stay during the day. Staff try to refer children to other services and connect them to schools and night shelters. Around 100 children come to each centre, although most don’t come every day. Faruk* 12 years old, playing Carrom with other boys at one of the five centres for street children in Dhaka, run by Save the Children’s partner organisation INCIDIN Bangladesh. The centres are funded by the IKEA Foundation, thanks to the Let’s Play for Change campaign. These Multiple Activity centres were set up close to the railway and bus stations where many of the most vulnerable children live and work. Children are given the opportunity to play and to catch up on their education, and they have a safe place to stay and rest during the day. Staff try to refer children to other services and connect them to schools and night shelters. Around 100 children come to each centre, although most don’t come every day. 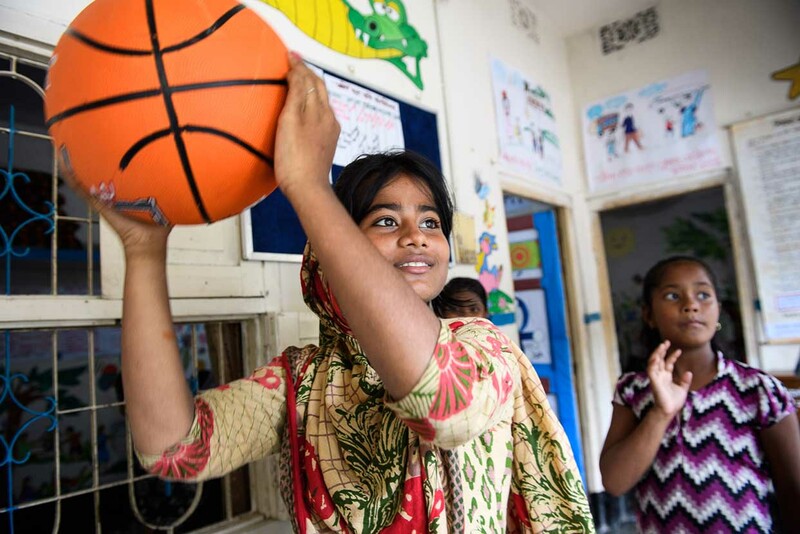 Hashi, 12 years old, is playing basketball at the Socialisation Centre run by Save the Children’s partner ACD, in Rajshahi in north-western Bangladesh. 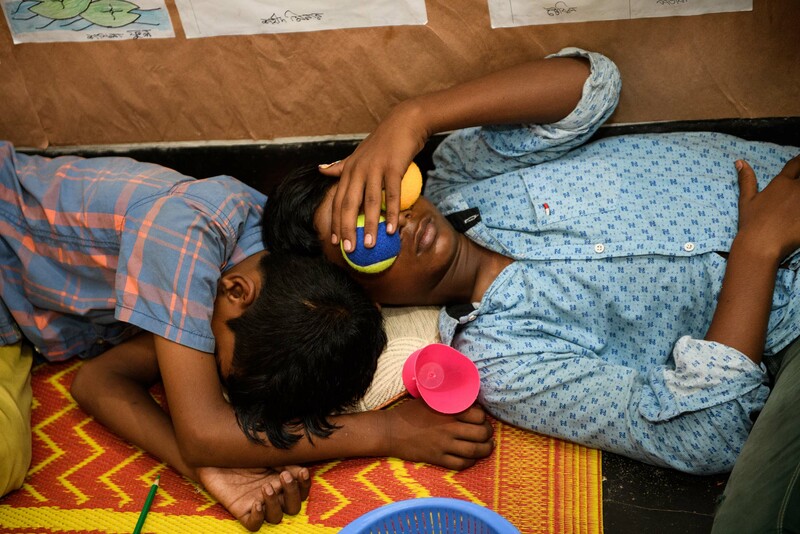 The centre is one of 32 set up by Save the Children in two different areas of Bangladesh where children are particularly vulnerable to unsafe migration. The centres are part of a project supported by the IKEA Foundation, as part of the Let’s Play for Change campaign. Many families in Hashi’s community have moved there from the country side, looking for work. It is a poor and crowded neighbourhood close to the river and border with India. At the Socialisation Centres, children are given the opportunity to play and learn. They also have a safe place to stay during the day. Save the Children is addressing the underlying causes behind unsafe migration, raising awareness in the community about the dangers of child migration. 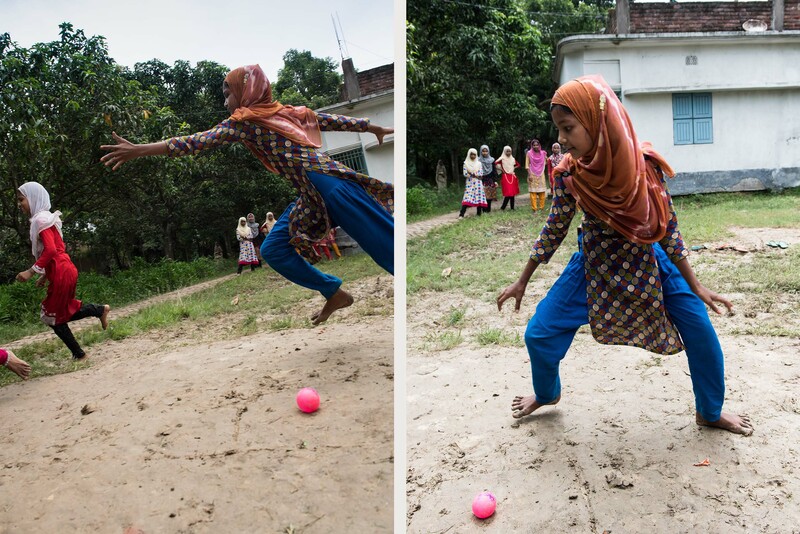 Nitu, 13 years old, serving at a mixed volleyball game near a Socialisation Centre run by Save the Children’s partner ACD, in Rajshahi in north-western Bangladesh. Many families in the community have moved there from the country side, looking for work. It is a poor and crowded neighbourhood close to the river and border with India. 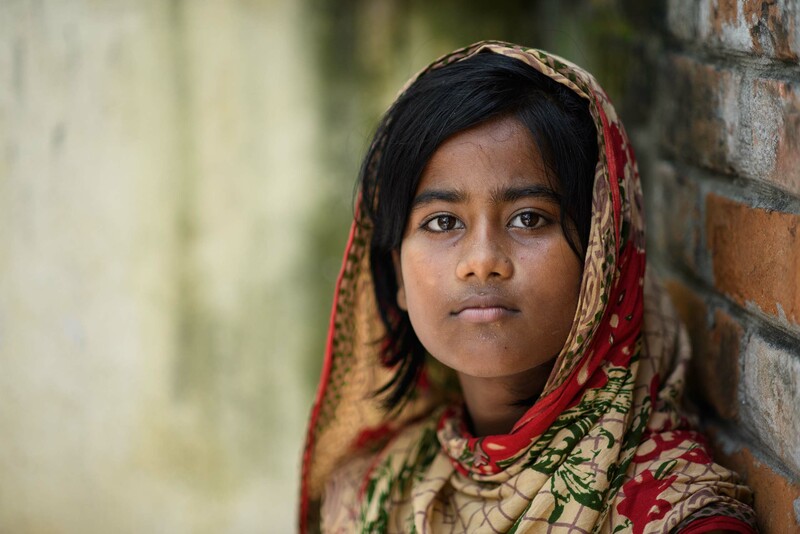 Sheuli is 14 years old and came to Rajshahi two months ago with her father, mother and brother. Sheuli comes to the Socialisation Centre twice a day, before and after school. Apart from playing here, she’s been given educational support. The things that Sheuli finds difficult in school she will ask the volunteers at the centre about. Hashi, 12 years old, comes regularly to the Socialisation Centre run by Save the Children’s partner ACD, in Rajshahi in north-western Bangladesh. She lives with her grandmother while her mother is away working. But conditions are poor and her grandmother works long hours. Volunteers from Save the Children, working to prevent unsafe migration in communities like the one Hashi lives in, met Hashi and suggested she’d come to the newly opened socialisation centre close to her home. 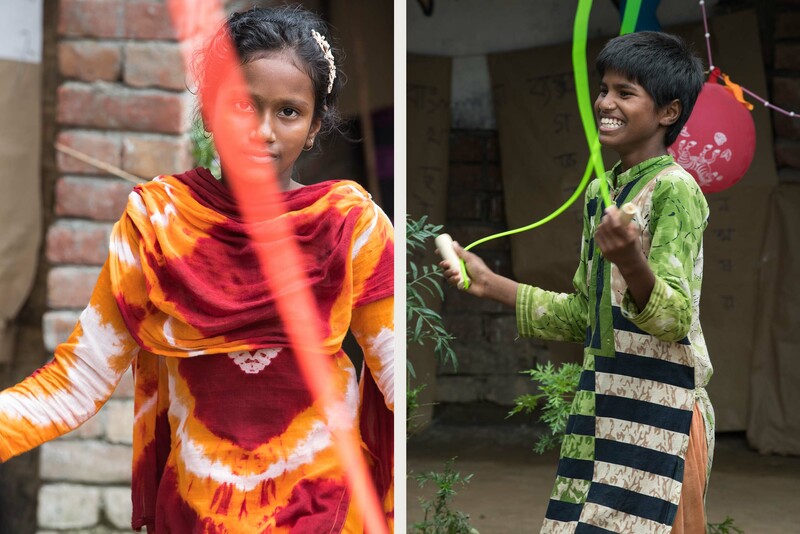 Aseya and Toma playing Gollachut – ‘round and round’ – with their friends at a Socialisation Centre run by Save the Children’s partner ACD, in a rural area outside Rajshahi in north-western Bangladesh. Many families in poor communities are considering migrating to the cities due to poverty. For many adults and children, migration promises the chance of a better life and an opportunity to find work and education. However, once children move – especially on their own – they become highly vulnerable to discrimination, violence, abuse and exploitation, both during their journey and at their destination. At the Socialisation Centres, like this one, children are given the opportunity to play and learn. They also have a safe place to stay during the day. Save the Children is addressing the underlying causes behind unsafe migration by raising awareness in the community about the dangers of child migration. 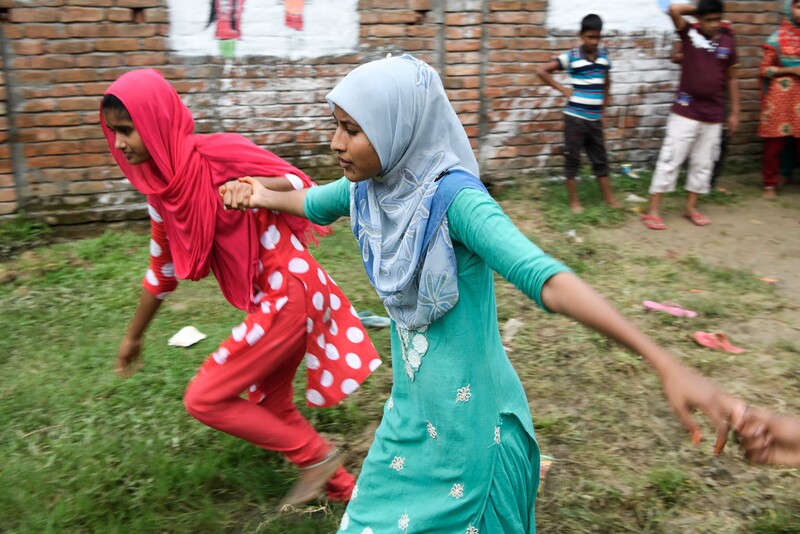 Sitara, Aseya and Rima playing Bouchuri – ‘wife-theft’ – with their friends at a Socialisation Centre run by Save the Children’s partner ACD, in a rural area outside Rajshahi in north-western Bangladesh. 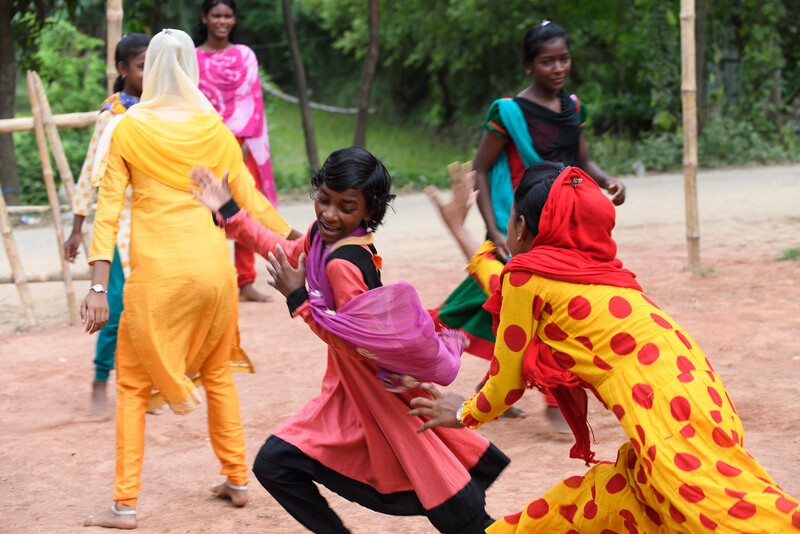 Rotna playing Bouchuri – ‘wife-theft’ – with her friends at a Socialisation Centre run by Save the Children’s partner ACD, in a rural area outside Rajshahi in north-western Bangladesh. 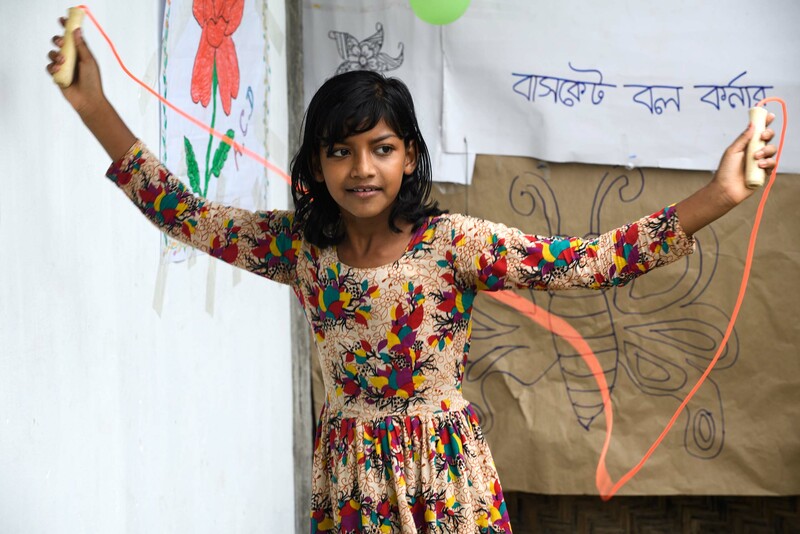 Surovi skipping at a Socialisation Centre run by Save the Children’s partner ACD, in a rural area outside Rajshahi in north-western Bangladesh. The centre offers girls a chance to play together even as they get older, something they would otherwise not be allowed or find impossible. 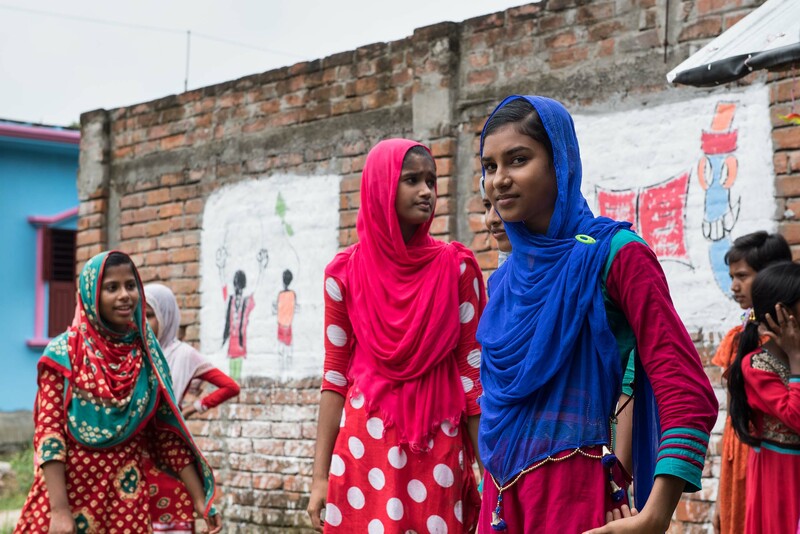 Riya (left) and Samena (right) skipping at a Socialisation Centre run by Save the Children’s partner ACD, in a rural area outside Rajshahi in north-western Bangladesh. Monira* is trying to catch Sumona* during a game of Dariabanda at a Socialisation Centre run by Save the Children’s partner ACD, in a minority community in rural north-western Bangladesh. Ranajit*, 14 years old, went to Dhaka with his sister’s husband to work in construction. But the job was much harder than promised, he never saw much of the salary and living conditions were very poor. Instead of returning home with nice clothes and enough money to help his family and pay for school, Ranajit escaped with some other boys and came back empty handed and ill.
Children from the socialisation centre in his village helped him to contact volunteers who helped him, and other children who had been in similar situations.